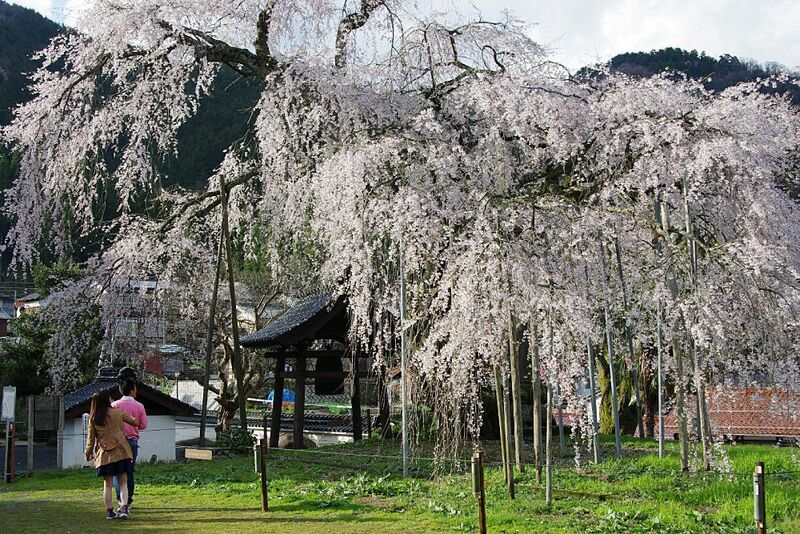 There are many great spots to view cherry blossoms in Shin-onsen. 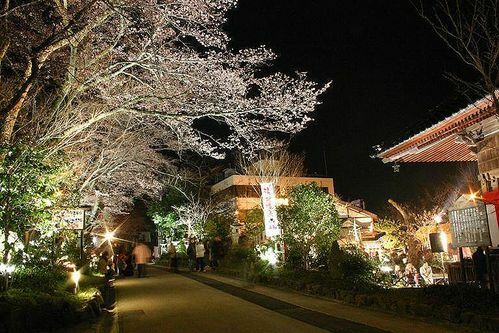 At night, the Shofuku-ji temple's cherry blossom tree is lit up, creating a particularly beautiful scene. 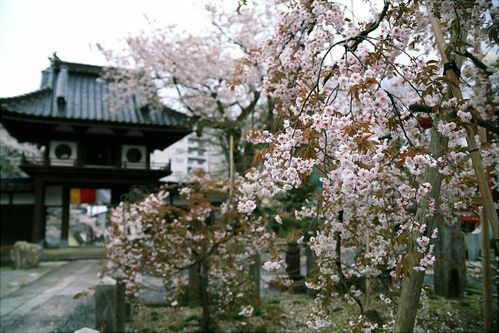 The Taiun-ji temple's cherry blossom tree is said to be originally from the Tenryu-ji temple in Kyoto. The tree is about 250 years old and the local people protect it dearly. Every year, around mid or late April, the tree blooms. The tree's blossoms show a much deeper color than the more common Shidaresakura tree, which is very white when fully bloomed. The tree has the largest trunk diameter of any in western Japan and is one of Hyogo prefecture's natural monuments. Shofuku-ji temple's cherry blossom trees also are a rare specialty, with 10 petals enfolded in one bloom and 6 flowers from one pistil. They start blooming in early April and come to full bloom around mid-April.